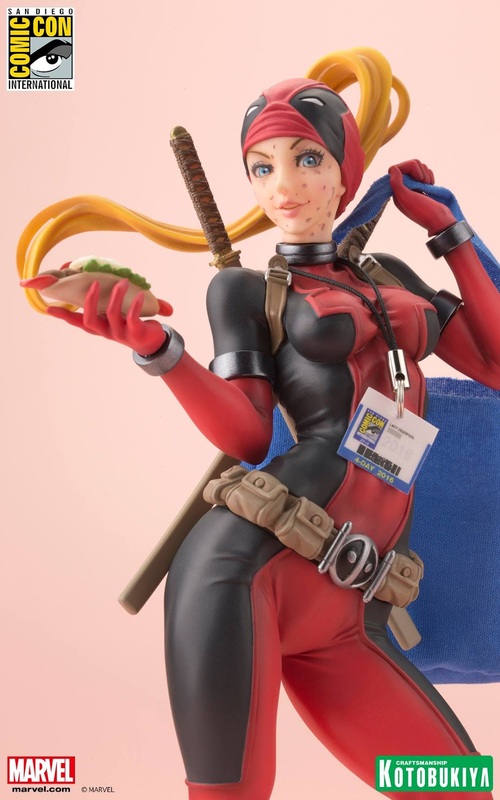 What does Wanda Wilson do when not battling General America or teaming up with Deadpool Corps? She attends San Diego Comic-Con of course! 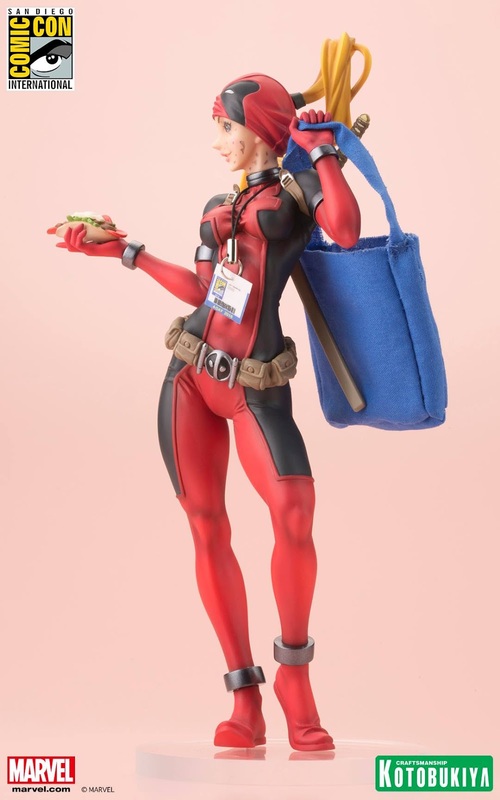 And when she does she comes fully prepared with her Comic-Con badge and lanyard, extra large bag to carry her swag and Gyro in hand to munch on while waiting in line for Hall H! 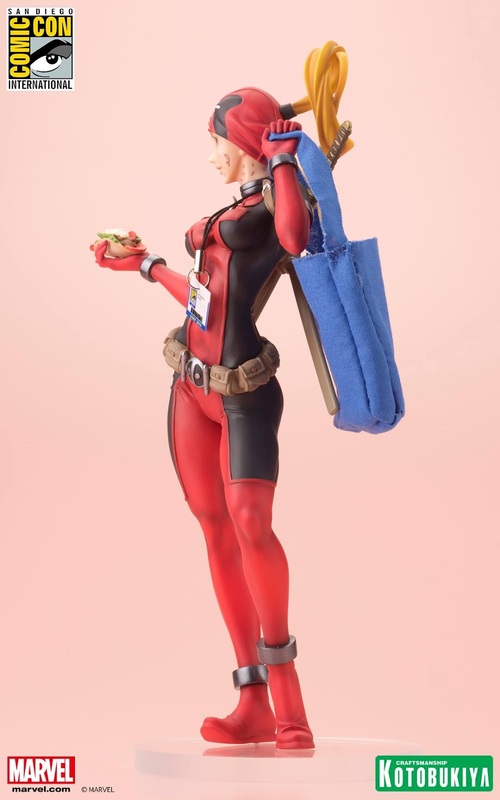 The Lady Deadpool SDCC exclusive edition features a brand-new head sculpt and accessories including Gyro, badge, lanyard and bag with the official Comic-Con logo on it. 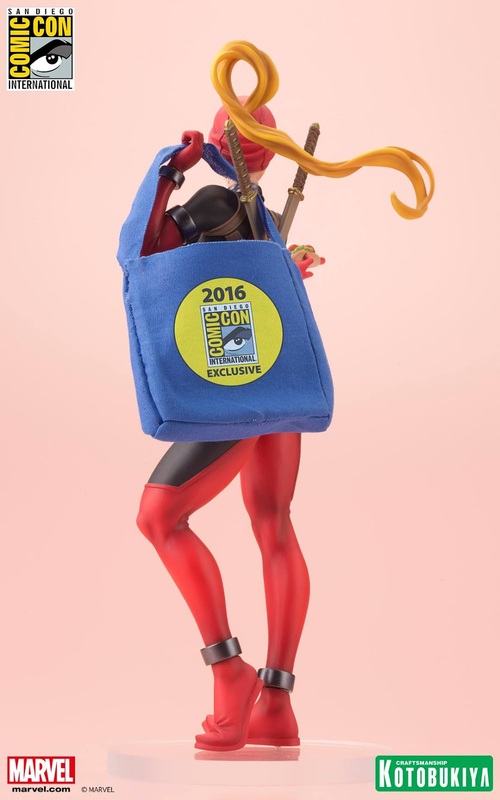 As an added bonus all purchases will also receive a second bag accessory with the Kotobukiya & Kotous.com logos on it. 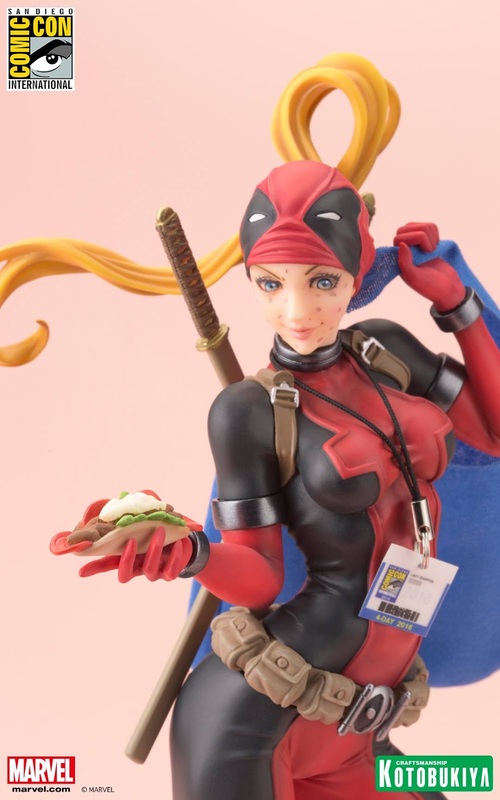 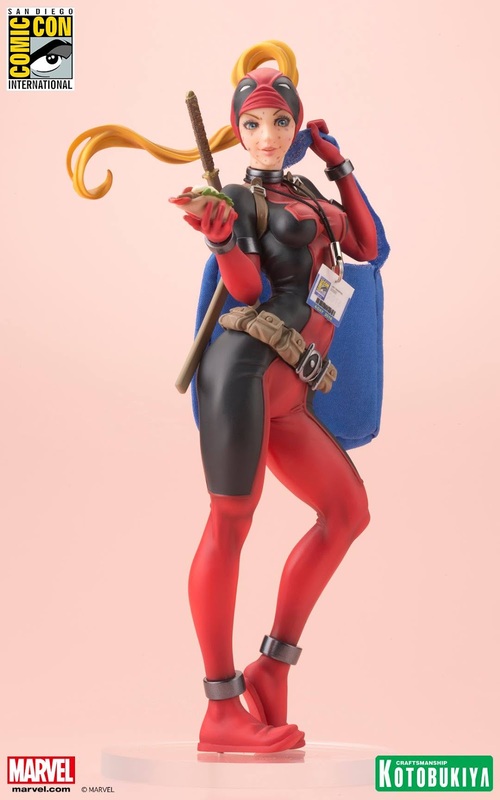 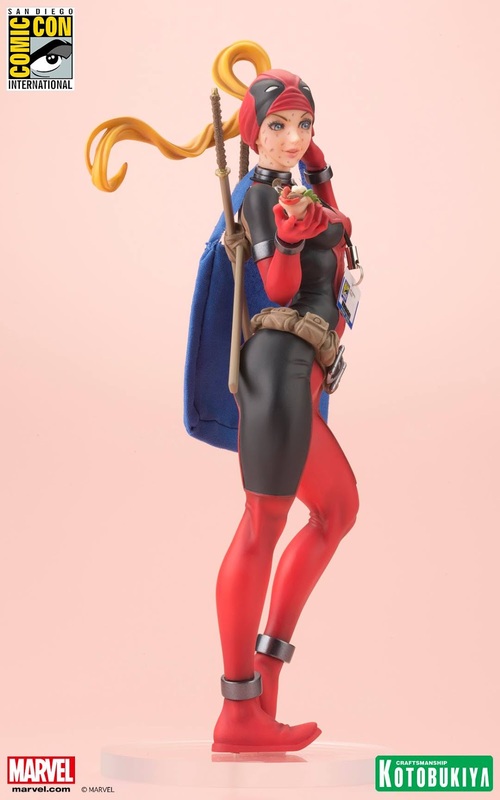 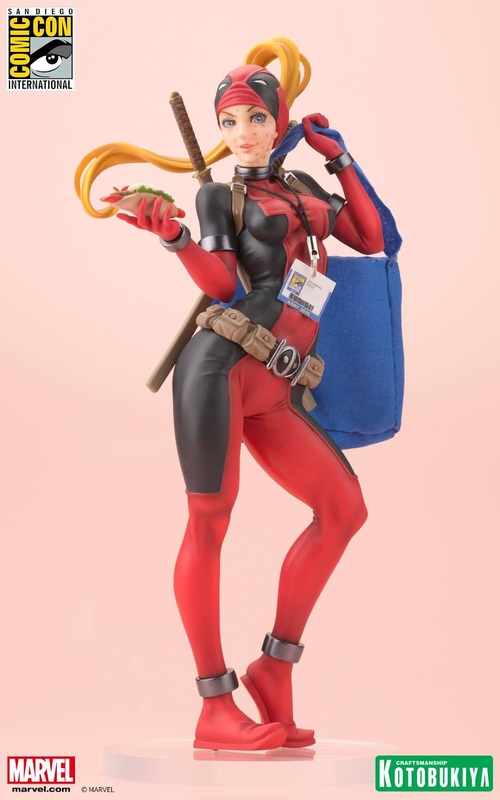 Parts from the previous Lady Deadpool Bishoujo statue are also interchangeable with this release so you can mix and match to create your own distinct look! 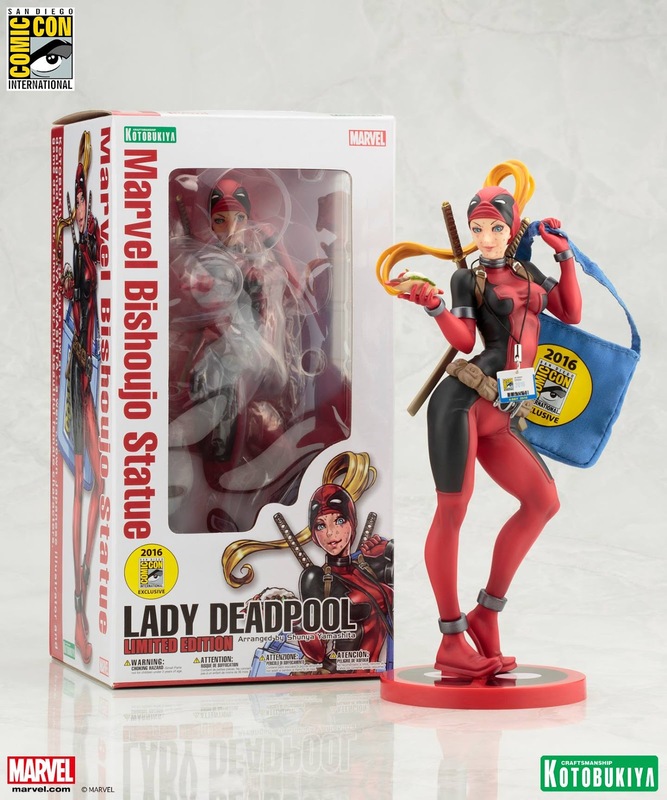 $74.99 plus tax. 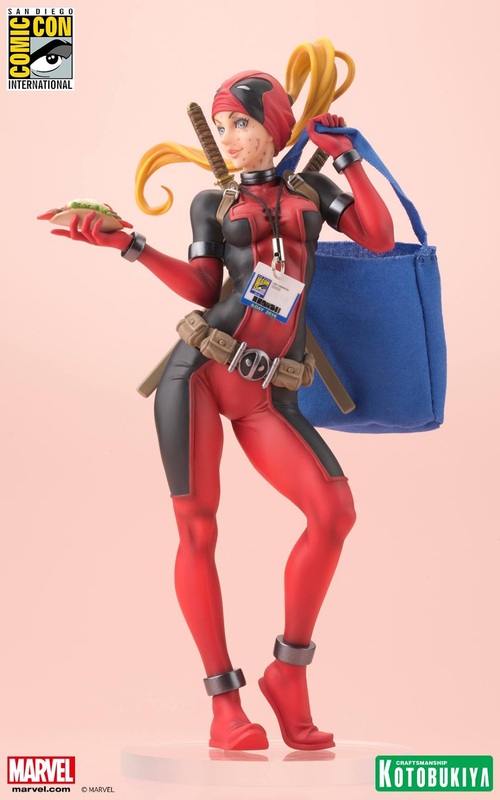 Available at Kotobukiya booth, #2601 during San Diego Comic-Con beginning July 20th. 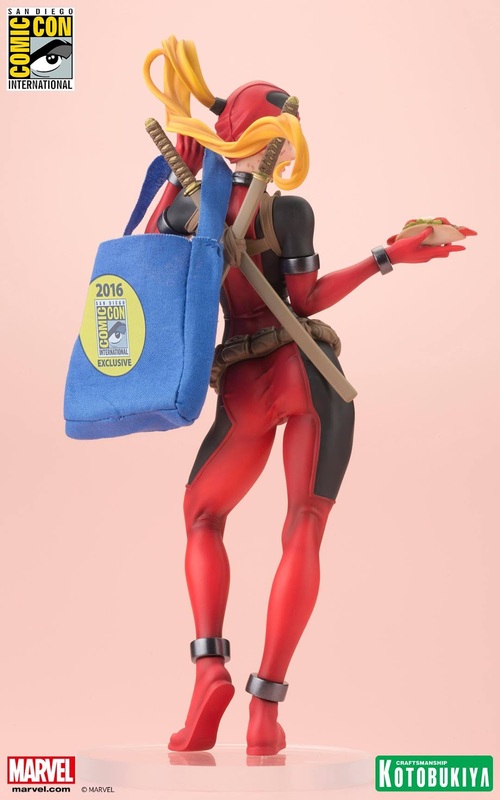 Extremely limited, one-time production, while supplies last.